Bruck Eshete', DC practicing his art of healing at the Chiropractic Wellness Oasis on 13th Ave. South. 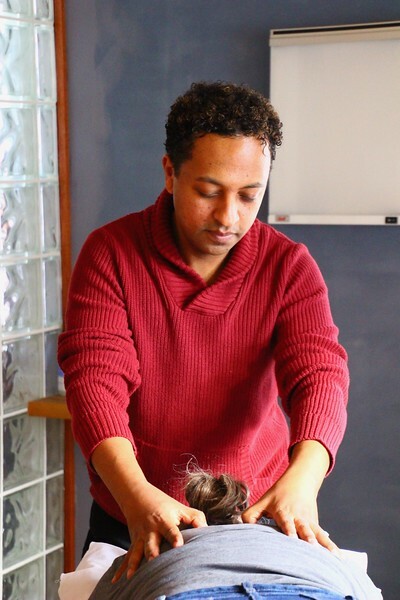 He is also a trained Massage Therapist and extra certification in Acupuncture. He brings strong hands and a compassionate heart to healing the aches and pains of our community.